We didn't get out to walk this weekend, the rain has been so heavy and we agreed that walking is for fun, not a duty. 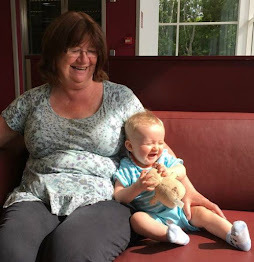 Once we are back walking on a regular basis then we will probably walk in inclement weather but at the moment we are just trying to get back to our previous fitness. 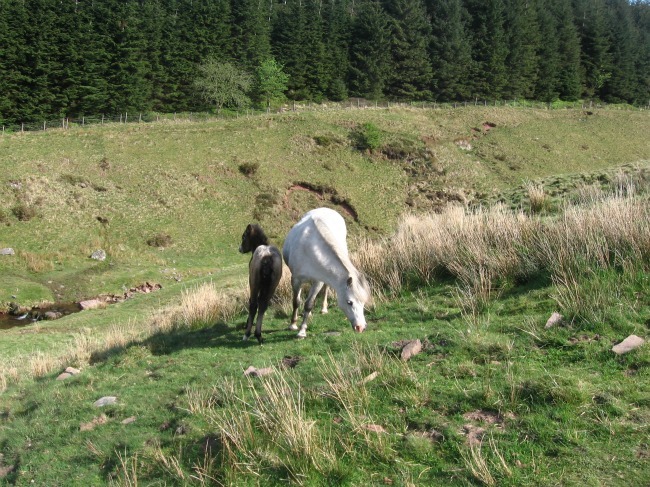 Rather than not post a walk I am sharing an old walk. We have walked it many times but it's not my favourite as it's always so busy. 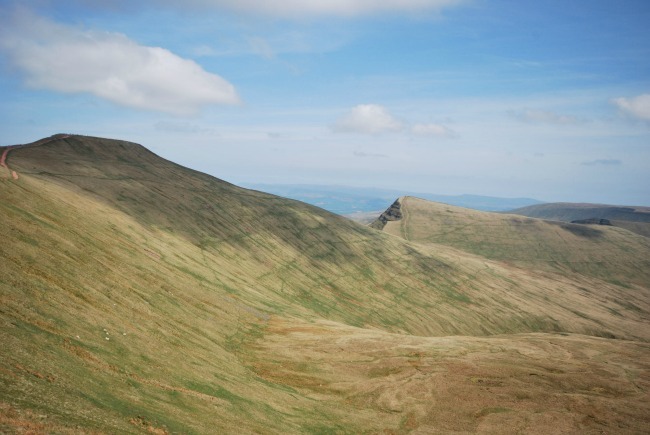 I prefer to see it in the distance whilst enjoying the peace and quiet of another mountain peak. 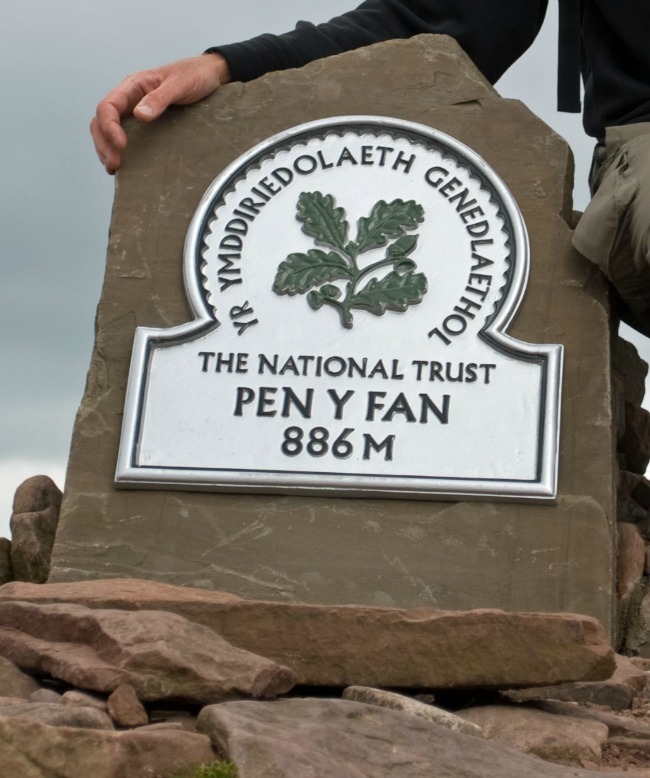 It is still a must do walk, Pen Y Fan is the highest peak in South Wales. 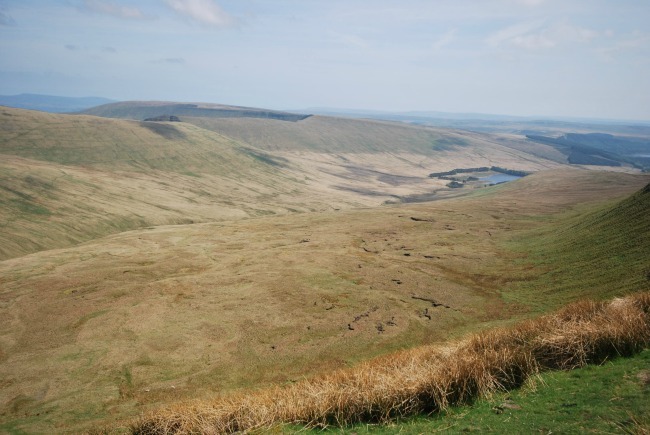 We haven't walked Pen Y Fan for a couple of years but I am sure the routes are the same. 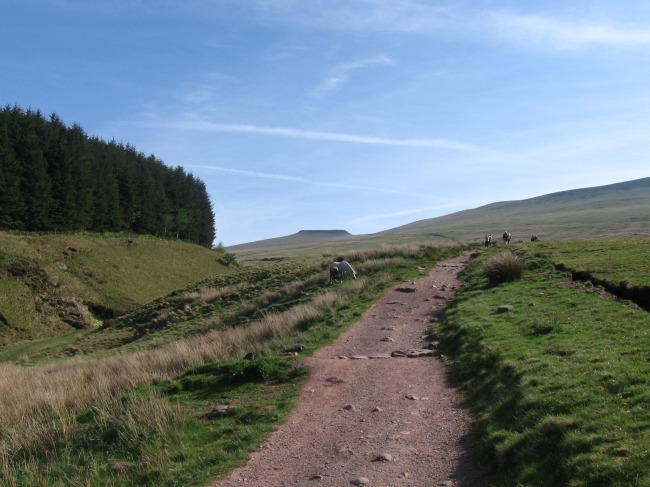 There are many routes up Pen Y Fan. 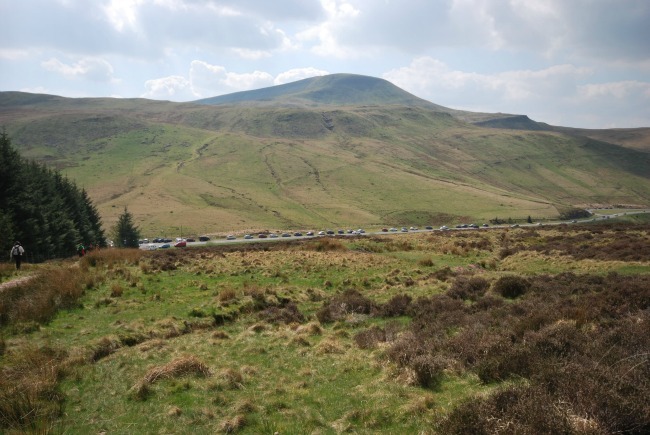 The two most popular leave from the A470. One near the Storey Arms (A) and the other from the car park just down the road (B) towards Cardiff. 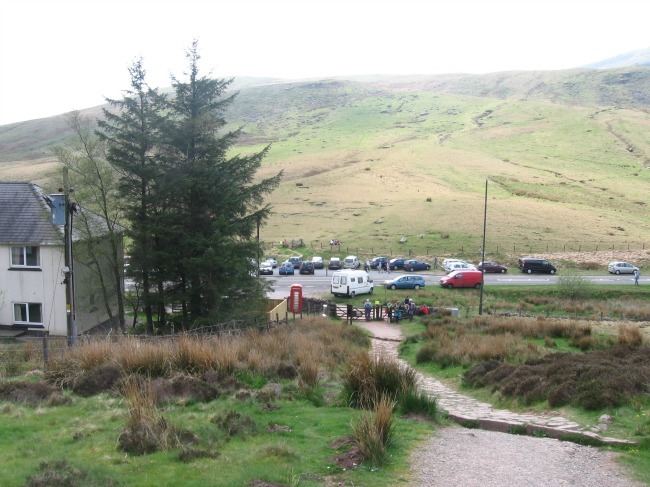 These car parks are very busy so an early start is essential on weekends to get a parking place. 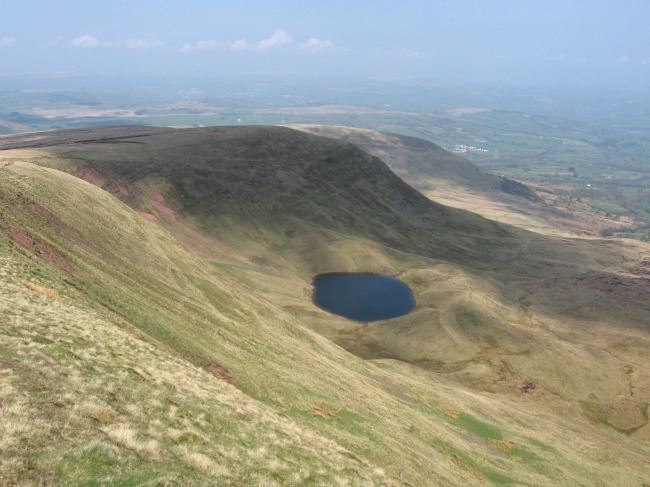 Both walks are OK in poor visibility as the paths are wide and well defined. 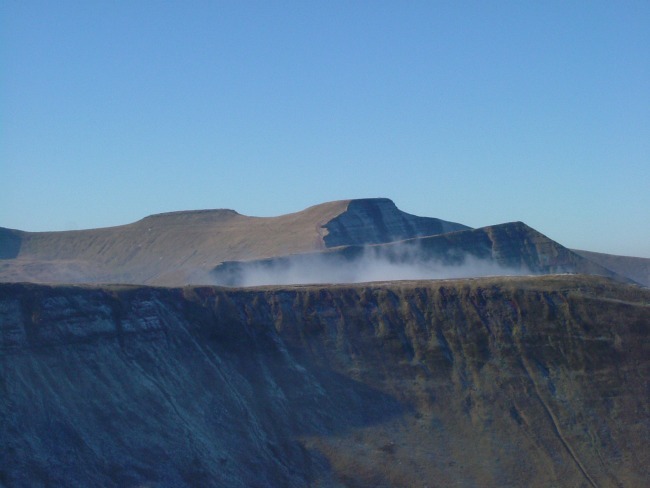 If you are walking between Pen Y Fan and Corn Ddu be aware that snow can form over hanging ledges that do not take any weight, so stick to the paths. 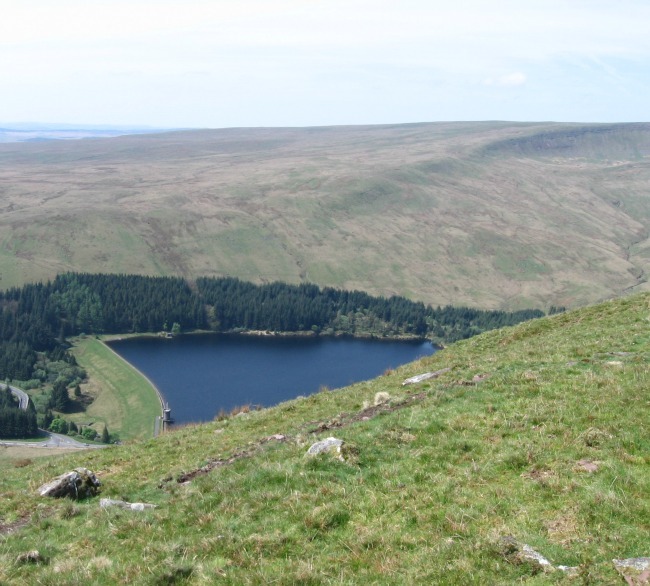 My favourite walk was from the Neuadd Reservoir (C) although not for the casual walker and not suitable for inexperienced walkers in poor visibility. 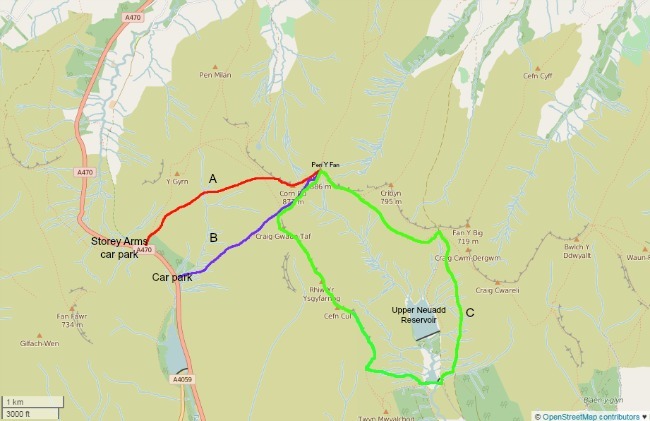 It was possible to drive right up to the gate just before the reservoir but I think there is another gate on the road now that will add a good couple of miles to the walk. 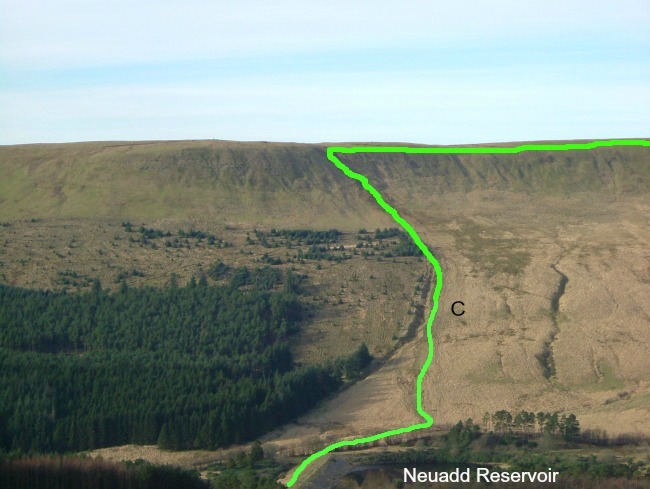 The walk starts up the side of a very steep valley but once on the ridge it is fairly easy and can be done as a circular route taking in Corn Ddu, Cribyn and Fan Y Big. A classic walk, the Horseshoe. 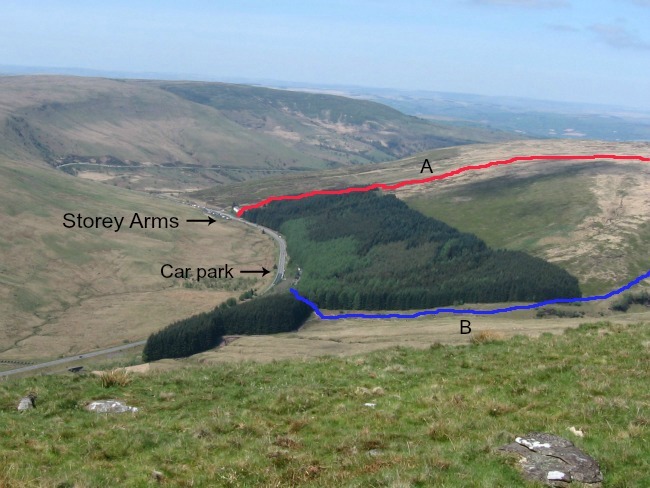 Most people walk from the A470, either the car park (B) or the Storey Arms (A). 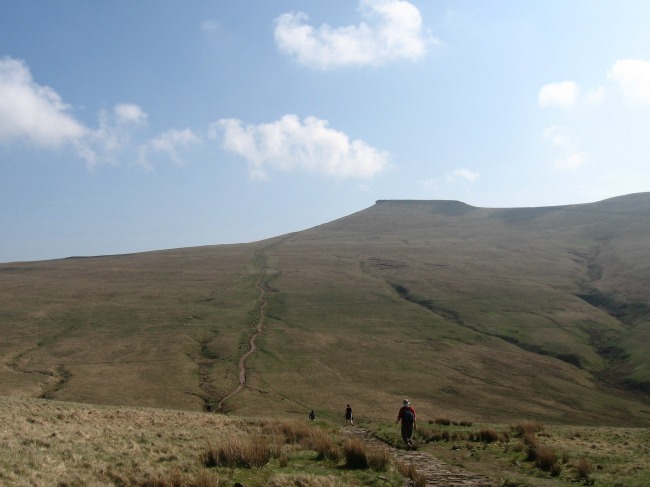 I think both routes are equal in that they both have well trodden paths and get you to the top. 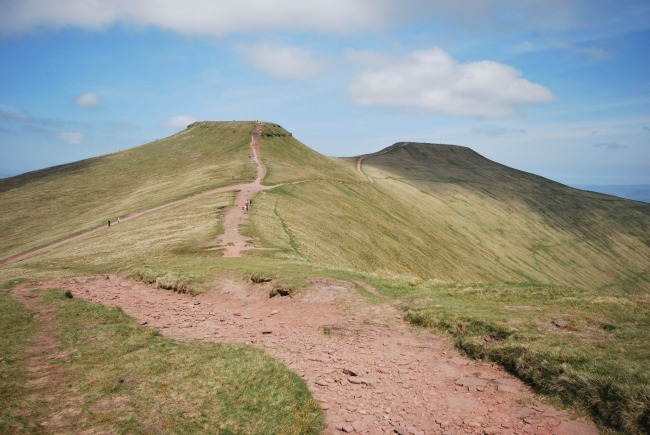 The first peak is Corn Du, the paths are wide and clear. 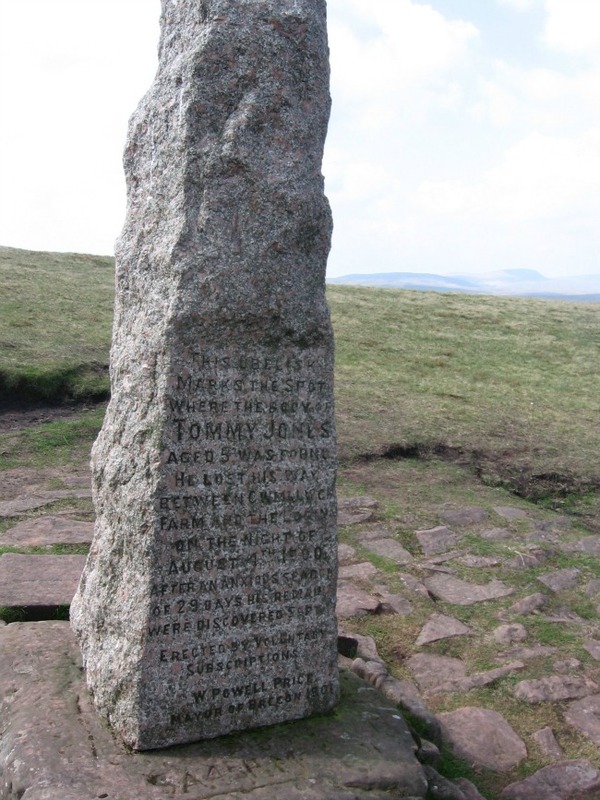 A diversion gives glorious views of Llyn Cwm Llwch and on the ridge an obelisk to the memory of Tommy Jones, a five year old who got lost in the Brecon Beacons and died in 1900. This is not a route guide, there are many good ones already out there. This is mainly a gallery to give you inspiration and before you set out always check the weather forecast. Even if you are not worried about losing your way, you will not have the fantastic views. It can be fine and sunny when you start out and fog and rain within minutes.